Holiday Cooking Class: With Chef Graham! Name: Holiday Cooking Class: With Chef Graham! 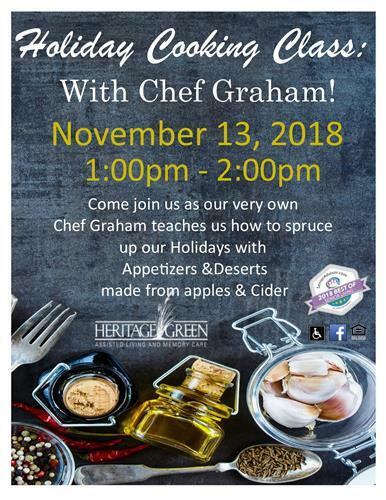 Come join us as our very own Chef Graham teaches us how to spruce up our holidays with Appetizers & deserts made from apples and cider!! !